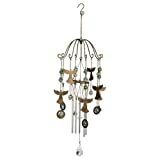 about this book: Another title for The Little Book of Angel Quotations could be, Easy, Easy, Easy! I filled this little, power-punching book with the best of the best. 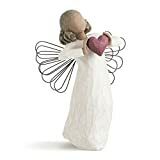 The BEST quotes about angels from two of my angel books, Lessons from my Guardian Angel and The Truth about Angels, Part I; quotes from the King James Version of the Bible; and citations from articles I wrote. The Little Book contains the BEST 'golden nuggets' of advice that you will ever need on your quest to understand angels. 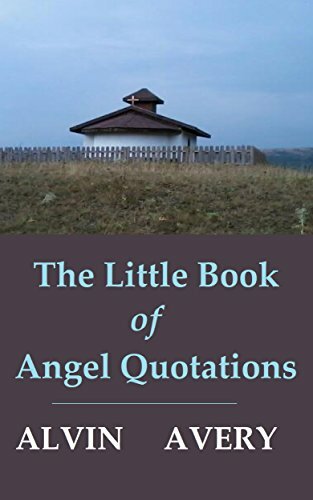 The Little Book of Angel Quotations has 66 quotations that I call Power Quotes. Power Quotes are designed to encapsulate, inform, and educate. Here are a few examples. If you want a quick study about angels in a relaxed format, the Little Book of Angel Quotations is the perfect "starter." In addition to its 66 Power Quotes, the book also has the "5 don'ts" to seeing and recognizing angels, the "10 keys" to trust building, and an Epilogue.